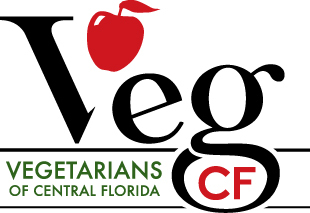 Why is Central Florida Earth Day vegan? Animal agriculture is environmentally unsustainable (for other non-environmental reasons for veganism, please go to the Central Florida Veg Fest Why Vegan? page). From the widespread contamination of drinking water supplies in North Carolina by hog manure runoff (1) to the exponential deforestation of the Amazon rainforest due to cattle ranching in Brazil (2) to the rise of drug-resistant pathogens as the result of feeding antibiotics to chickens on American factory farms (3, 4) raising animals for their meat, milk, eggs and skin creates problematic consequences for public health, natural resource management, biodiversity conservation, and wilderness preservation. When we eat and wear animals, we use more land, fuel, water, fertilizer, antibiotics, pesticides, and grain, than we do when we engage in any other agricultural practice (5, 6, 7, 8). The production of one quarter-pound hamburger requires 6.7 pounds of grain and forage, 52.8 gallons of water, 74.5 square feet of land, and 1,036 BTUs of fossil fuel (13). Producing meat, dairy, eggs, leather, wool, and so forth cycles finite resources through animals to achieve a net loss of resources. The UN Commission on Sustainable Development reported that it takes up to 7,000 liters of water to produce 100 grams of beef in developing countries, while it takes just 550 liters of water to produce enough flour for one loaf of bread (9). Further, a global assessment of the water footprint of farm animal products was published in the academic journal Ecosystems in 2012 and it concluded that the water footprint of any animal product is larger than the water footprint of crop products with equivalent nutritional value (10). Twenty-nine percent of the total water footprint of the agricultural sector in the world is related to the production of animal products, with the average water footprint per calorie for beef found to be 20 times larger than for cereals and starchy roots, and the water footprint per gram of protein for milk, eggs and chicken meat found to be 1.5 times larger than for legumes, for example (11). Similarly, limited energy resources are negatively impacted by the use of animals for food and fiber. In a study published by the American Journal of Clinical Nutrition, the average fossil energy input for all animal protein production was found to be more than 11 times greater than that for grain protein production (12). In terms of land use, livestock now use 30 percent of the earth's entire land surface, including 33 percent of the global arable land used to produce feed for livestock (14). Further, animal consumption is a major driver of deforestation, with some 70 percent of former forests in the Amazon having been turned over to grazing. With regards to global climate change, one of the most pressing environmental issues of our time, a 2013 report of the Food and Agriculture Organization of the United Nations found that green house gas emissions from animal agriculture represent 14.5 percent of human-induced emissions (15). Feed production and processing, enteric fermentation, manure storage and processing, and transportation and processing of animals products account for these massively unique emission levels (16). In addition to unsustainable resource consumption and contribution to global climate change, animal agriculture serves as a major source of air, water, and soil pollution (17, 18, 19). According to the EPA, "A single dairy cow produces about 120 pounds of wet manure per day, which is equivalent to the waste produced by 20-40 people" (20). Additionally, the EPA reports that the waste generated by animal agriculture has polluted over 35,000 miles of river in 22 states (21). Ground soil is also degraded by nutrients and heavy metals present in animal feed which are inevitably excreted by livestock (22). When concentrated due to animal agriculture's unsustainable practices, zinc, copper, chromium, arsenic, cadmium and even lead, build up in the soil and reduce fertility, runoff into water, and end up in the human food supply (23). Into our air, factory farms emit harmful gases and particles such as methane and hydrogen sulfide, which can contribute to air quality degradation and harm the health of those living or working nearby (24). gallon for gallon, animal agriculture, regardless of its level of industrialization, location, or size, is relatively environmentally harmful and unsustainable relative to other types of comparable agriculture. Environmentalists around the world and from diverse disciplines and backgrounds have expressed concern over the environmental impacts of using animals for food and fiber and made addressing such concern key component of their work. When asked why she is a vegetarian, the primatologist, ethologist, anthropologist, Jane Goodall said, "We now know that intensive meat eating, which is getting more common all around the world, is horribly damaging to the environment, as well as being terribly cruel" (26). Robert F. Kennedy, Jr., president of Waterkeeper Alliance and environmental lawyer, has said, "Corporations that now control the meat production industry are threatening public health" (27). In addition to the environmentally-based reasons that inspire many to turn to vegan diets, many people choose to "go vegan" based on health and nutrition, compassion for animals, and concern for the rights and well being of laborers in animal agriculture and populations that have inequitable access to resources. Regardless of the reasons, a vegan diet serves many positive ends for the earth, humanity, and animals. Ecology is a science of connectivity and interdependence and the environmental movement--of which Earth Day is a part--is a movement that has sought to remind humanity of our place within our interdependent biosphere. Perhaps one of the most down-to-earth articulations of Earth Day's power and promise comes from one of our most cosmologically-minded thinkers, the theoretical physicist, Nobel Laureate, and vegetarian, Albert Einstein: "A human being is part of a whole, called by us the 'Universe'--a part limited in time and space. He experiences himself, his thoughts, and feelings, as something separated from the rest--a kind of optical delusion of his consciousness. This delusion is a kind of prison for us, restricting us to our personal desires and to affection for a few persons nearest us. Our task must be to free ourselves from this prison by widening our circles of compassion to embrace all living creatures and the whole of nature in its beauty" (28). 21 Environmental Protection Agency & U.S. Department of Agriculture. (2002). Animal feeding operations unified strategies. 22 Li, Y., McCrory, D. F., Powell J. M., Saam H., & Jackson-Smith, D.
Analysis and Policy Branch, Animal Production and Health Division.